Greeting Cards: a selection of greeting cards including jigsaw message cards, jigsaw cards and designer greeting cards. 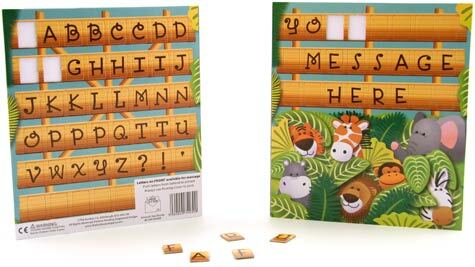 Our unique Jigsaw Message Greeting Cards allow the card sender to customise their greeting message with jigsaw pieces. You therefore buy the card, re-arrange the jigsaw letters into a personalised message and then send on to your chosen one. Now what could be more fun than that! Each of our Jigsaw Cards incorporates a jigsaw puzzle into the front cover. You simply buy the card, deconstruct the jigsaw puzzle on the front of the card to reveal a big question mark, then put the card and the jigsaw pieces into the envelope and then post to your chosen one. They then have the fun of putting the jigsaw back together again. It's all in the Face! A range of 12 boldly coloured cards, each with a funny face to cover any number of card sending occasions. Whether it's cheeky, mischievous, apologetic, loving, saucy or just plain right silly, our faces have got it covered! The cards are made from Forest Stewardship Council (“FSC”) certified card. The cards are blank on the inside, barcoded, sized 15 x 15 cm, come with a white envelope and are packed in a film bag. A range of 12 cards, each detailing a weather forecast icon and a related heartfelt greeting. The cards are made from Forest Stewardship Council (“FSC”) certified card. The cards are blank on the inside, barcoded, sized 15 x 15 cm, come with a white envelope and are packed in a film bag. A range of 12 cards, each showing a post-it note with a handwritten message. The cards are made from Forest Stewardship Council (“FSC”) certified card. The cards are blank on the inside, barcoded, sized 15 x 15 cm, come with a white envelope and are packed in a film bag. A range of 12 classically designed cards, each highlighting a word from the dictionary as well as its meaning. Words currently included: Beauty, Old, Love, Friend, Malinger, Fifty, Sorry, Valentine, Celebrate, Congratulate, Thanks and Gorgeous. The cards are made from Forest Stewardship Council (“FSC”) certified card. The cards are blank on the inside, barcoded, sized 15 x 15 cm, come with a white envelope and are packed in a film bag. A range of 8 cards with loving messages, made using scrabble letters, especially for family members. The cards are made from Forest Stewardship Council (“FSC”) certified card. The cards are blank on the inside, barcoded, sized 15 x 15 cm, come with a white envelope and are packed in a film bag. A range of 16 Christmas and Love cards, each styled as a stamp on a patterned border. The cards are made from Forest Stewardship Council (“FSC”) certified card. The cards are blank on the inside, barcoded, sized 15 x 15 cm, come with a white envelope and are packed in a film bag. Our designer greeting card range currently incorporates numerous fabulous and varied designs from a number of highly talented designers from around the world. The cards are made from Forest Stewardship Council (“FSC”) certified card and you know with confidence therefore that these cards are not contributing to the destruction of the world’s forests. A range of 8 cards each designed in the style of a School Report whereby the sender can manually rate the intended recipient against a number of amusing “Subjects” by writing in the associated blank boxes. You can give your Valentine an “A” if they excel on the kissing and canoodling front; and your kids an “F” if they’re not helping out enough round ther house! The cards are made from Forest Stewardship Council (“FSC”) certified card. The cards are blank on the inside, barcoded, sized 12.7 x 17.7 cm, come with a white envelope and are packed in a film bag.